and other hands-on treatments to maintain and restore health. High-quality oils are used for most treatments, as they are healthful and nourishing in many ways. Oil applied to the body nourishes and calms the nervous system, pacifies the mind, restores suppleness to the skin, relieves dry, itchy skin, gives us a protective layer against pathogens, helps to induce sound sleep, and is deeply nourishing. Infusing the oils with herbs enhances the therapeutic value of the oil, as the healing qualities of the herbs are absorbed into the skin along with the oil. The herbs and oils selected for this “medicated oil” are often custom created specifically for you by Shanti Ayurveda practitioners, based on your particular needs. Ayurvedic Body Massage - "Abhyanga"
This deeply relaxing, rhythmic body massage utilizes constitutionally appropriate warm herbalized oil. The massage concentrates on energetic points, known as Marma points. Highly beneficial for dry skin, weakness, weight loss, heart palpitations, constipation, chronic fatigue, anxiety, and many other conditions. Performed by your choice of one or two therapists. Lay back and relax, as a thick stream of warm, herbalized oil is poured luxuriously onto your forehead and marma energy points. This is balancing to the nervous system and is deeply relaxing, helping to calm and clear the mind. Especially beneficial to those suffering from nervous exhaustion, insomnia, stress, anxiety, etc. This profound experience begins with a face and foot massage. A beneficial compliment to Abhyanga. A customized herbal and essential oil steam treatment is performed under our steam tent while you lay back and relax. Aids in the elimination of toxins as it benefits those suffering from stiffness, coughs, pain in the ears, neck or head, hoarseness, and edema (swelling). Swedana can be used alone or in conjunction with any treatment. Stuffy head relief. Nasya is a three-step therapy which includes a pressure point facial massage, herbal steam to decongest, and administration of herbalized oils to clear and nourish the sinuses. Opens up breathing channels, helping to promote a clear mind. A full-body exfoliation involving an herbal paste which is massaged into the skin and vigorously brushed away. This removes dead skin cells and promotes lymphatic drainage and cellulite control, stimulating circulation. A great treatment by itself or performed before Abhyanga. Hand-selected Hot Rocks are used with this tension-tamer massage to promote deep relaxation and release deep-seated toxins. A must-have for the person who likes a little more pressure. Lower back relief. With this treatment, warm, herbalized oil is retained over the lumbrosacral area. Nourishing to the tissues and organs of the lower back, this is excellent for chronic back pain conditions. Strengthens muscles, joints, ligaments and nerves. "The Ultimate Treatment for Purification and Rejuvenation", Pancha Karma ("PK") is the single most powerful healing therapy utilized in Ayurveda. Highly beneficial for those with excess toxins in their system, it is indicated for a host of diseases. In addition, it is utilized as a preventative measure when used on an annual or semi-annual basis. During PK you will be placed on a special diet consisting primarily of grains, legumes and vegetables. Each day, you will have your body internally and externally oleated in order to loosen toxins and bring them to the digestive tract. The internal oleation is in the form of medicated ghee consumption. The external oleation is performed by one or two practitioners who will gently massage you with warm, herbalized oils appropriate to your body type. This is followed by heat application utilizing either hot towels or steam. This procedure opens the channels and clears out toxins. When two therapists are simultaneously massaging a client, they create a very precise bio-psychology. The client’s mind and nervous system begins to disarm and is gradually silenced by four synchronized massaging hands. Deep seated toxins and stress are released, opening the door for a more profound experience. 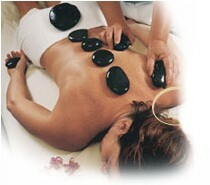 This treatment provides the human body with the opportunity to become tranquil and purified at its core. Copyright © 2010. Shanti Ayurveda. The information on this website is not intended as medical advice. It is intended as a sharing of knowledge and information.